This new research adds to a rather limited body of study dedicated to musicians’ mental health, an area that needs more focus from behavioral health professionals, Berg said. “The results of this study put the tortured artist myth to bed, and hopefully directs musicians to address their mental health with interventions that address the unique stressors musicians face,” said Heather Alden, executive director of the SIMS Foundation, an Austin-based mental health organization that gives musicians and music industry professionals low- or no-cost treatment from providers who understand musicians’ unique stressors. Austin musicians share a similarly dire financial situation. More than two-thirds of Austin musicians surveyed reported “high” or “overwhelming” financial stress, and only 25 percent said they were satisfied in their music careers. “The other good news from our own previous research is that contemporary musicians say when they do get mental health care from a provider familiar with health issues specific to musician life, they find the treatment to be satisfying and beneficial,” said Berg. A greater emphasis on healthy approaches to work and building emotional resilience can help musicians keep on jamming. 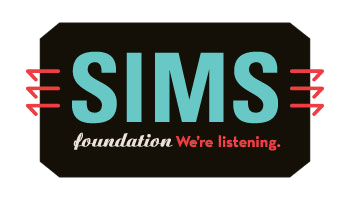 For press inquires, please contact Heather Alden, heather@simsfoundation.org, 512-472-1008.